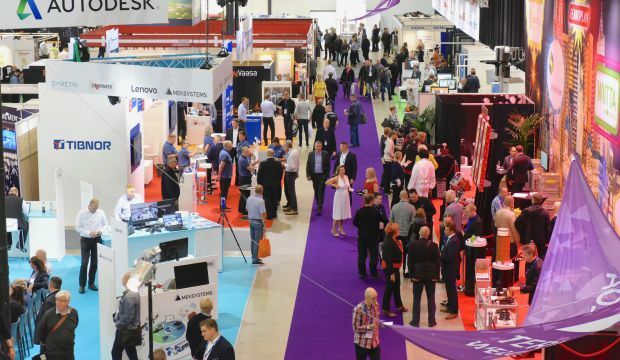 AlihankintaHEAT, a networking event for industrial companies and start-ups, will take place on 25–27 September 2018 as part of the Subcontracting Trade Fair in Tampere (Finland) for the third time. Formerly a one-day event will now become a three day event with a relocation to the main lobby, which is the center of action. AlihankintaHEAT wants to challenge the traditional thinking and practices of industry and turn all heads towards smart industry. Heat Stage will present up-to-date speeches, discussions and pitches. ”The AlihankintaHEAT will look at how the future of the Finnish manufacturing industry looks and how technologies change the way it works. On Heat Stage, the latest insights on the industry’s expectations and stories about the renewing and intelligent industry will be heard. HEAT has inspirational start-ups and partners interested in growth companies,” explains Event and Communications Manager Tanja Järvensivufrom Tampere Trade Fairs Ltd.
Business Finland, main partner of the AlihankintaHEAT, seeks to influence the overall climate and conditions for increase in production within Finland. ”The Sampo – Produced in Finland campaign gave Business Finland an excellent reason to attend AlihankintaHEAT event for the second time. The partnership enables four companies – Hydroline, Etteplan, Amomatic and Plastep – to unite and pass on their success stories and knowledge about the Sampo campaign to grander audiences”, says Program Manager Nuppu Rouhiainen from Business Finland. ”The manufacturing industry accounts for about one half of Finland’s exports. The industry requires continuous high-level development and new markets. There has been no program or other special effort targeting manufacturing for several years in Finland. The Sampo campaign aims to boost the innovation and production of the industry and to make new investments in Finnish companies. We cannot compete at cheap prices, nor do we wish to – our competitiveness must come from elsewhere, such as knowledge and highly skilled workers”, says Sampo campaign leader Jarmo Raittila from Business Finland. “There has been a lot of discussion about large and small companies collaborating. Thousands of large companies all over the world, from BMW to Nordea, have initiated extensive start-up programs to find new innovations, technological solutions, partners, and investments. However, you do not necessarily need such large projects to seek new perspectives, instead, you can get started by initiating discussions with various companies at events like AlihankintaHEAT during the Subcontracting Trade Fair. You need to be prepared to hear new views, but also to offer your own learnings and experiences to help others. While discussions are a good start, you also need to take action: discussions and ideas only lead to new innovations and added value for the customers through action” says Director, Head of Entrepreneurial Consulting Topi Järvinen from PwC Finland. AlihankintaHEAT: Traditional Manufacturing Industry is DEAD – Start Up Your Engines! Slogan of AlihankintaHEAT: “Traditional Manufacturing Industry is DEAD – Start Up Your Engines!” is meant to inspire industry players to revitalize the industry. The opening speech of AlihankintaHEAT will be held by Nordea’s Chief Economist Aki Kangasharju who talks about future prospects for startups and productivity in future. Topic of Heat grill panel discussion is ”The Future of Intelligent Industry and the Digital Turnover within Machine and Metal Industry”. Member of the Finnish Coalition Party, Member of the Future Committee Sinuhe Wallinheimo, Disruptive Renewal Officer Antti Karjaluoto, DIMECC Oy, Managing Director Jaakko Heikonen, Pemamek Oy Ltd, Director Jussi Maksimainen, Sandvik Mining and Construction Oy, Purchasing Director Markku Verkama, Normet Oy and Sales Director Jan Tapanainen, MSK Group Oy. The chairman is Jyrki Alkio, Editor-in-Chief of Tekniikka & Talous. AlihankintaHEAT’s specialists, startups and partners as well as content from Heat Stage can be seen in video format at the new #AlihankintaTV (SubcontractingTV) channel, where new videos will be updated both before the event and during the event: http://alihankinta.tv. AlihankintaHEAT is organised by Finland Events in cooperation with Rapid Action Group.